After mass protests in Sonzhu province, the location of the deployment for the American missile defense system has been changed. It is not just the residents of the province who insisted on it, worrying both for their health, rightly arguing that the radar that is located close to a residential neighborhood will affect the environment, and their lives. North Korea claims that, in the event of placing the American armaments, which includes counter-battery radar, near its borders, the province will be the first target of nuclear missiles. The South Korean government is also against the latest US adventure. In April, after the elections, the presidential Saenuri party lost the majority in the parliament, so ratification of the missile defense system was not possible. “If the president would allow the US system to deploy without the support of Parliament and the people, Park Geun-hye can expect impeachment,” said the representative of the parliamentary opposition, Kim Sang Gon. Afterwards, an internal scandal threatened the Park Geun-hye presidency in South Korea, with an urgent visit to the chief of staff of the US Land Forces, General Mark Milly. The objectives of the visit were classified, but at the same time his visit to Seoul to the South Korean Defense Minister Han Min-Koo, occurred in the Sonzhu province, where he held a meeting with residents, which started off with a traditional deep bow, symbolizing submission. The Minister apologized for having “failed to provide an explanation to the inhabitants on the deployment of missile defense in advance.” However, before the meeting, Han Min-Koo made it clear that the deployment of the radar in this area is inevitable. President Park Geun-hye is facing a tough choice: in the even of a non-agreement with the US, she could face sanctions or color revolution of the American type, and in the event of its implementation – impeachment by her own nation. Therefore, it was decided to change the symbolic placement of the missile defense armaments. It is expected that during the visit, Mark Millie chose several regions, satisfying Washington. 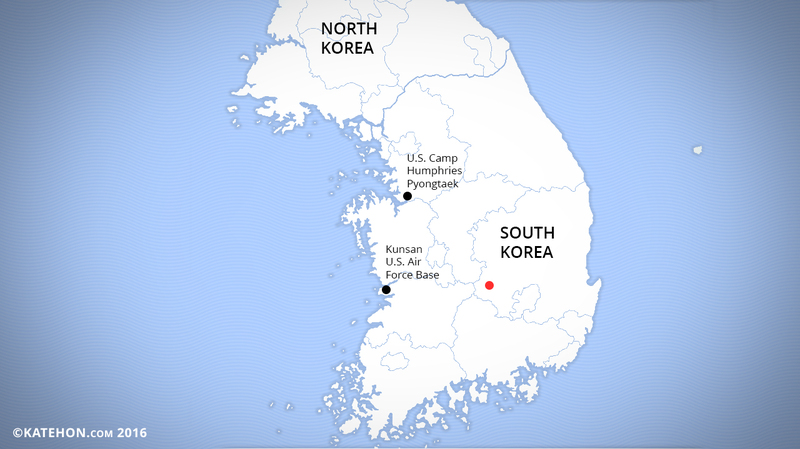 The South Korean government was represented with two variations, all in the same area, close to the borders of North Korea, but with an eye toward China and Russia. One proposed location of the missile defense is in the same Sonzhu province, another – in a neighboring one. But in any case, many representatives of the South Korean armed forces say, regarding the complex in the territory, that it will not be able to defend even one-third of Korea, because the radius of the missile is clearly not sufficient for this. However, it is known that the defense of South Korea is not the actual point, the real purpose is to gather intelligence from China and Russia. Especially as the military command in South Korea recognized this fact by offering an agreement on the exchange of intelligence information of the new radar with Japan, something the Japanese media confirms. However, despite the fact that for Washington the choice of a particular place is no longer a big deal, Seoul now has a difficult task: defend the interests of its country or the US's. Again Washington lobbyists have won. The fact so happens to be that the place which was ultimately chosen, a more comfortable and prepared place, is owned by the biggest conglomerate company in South Korea. 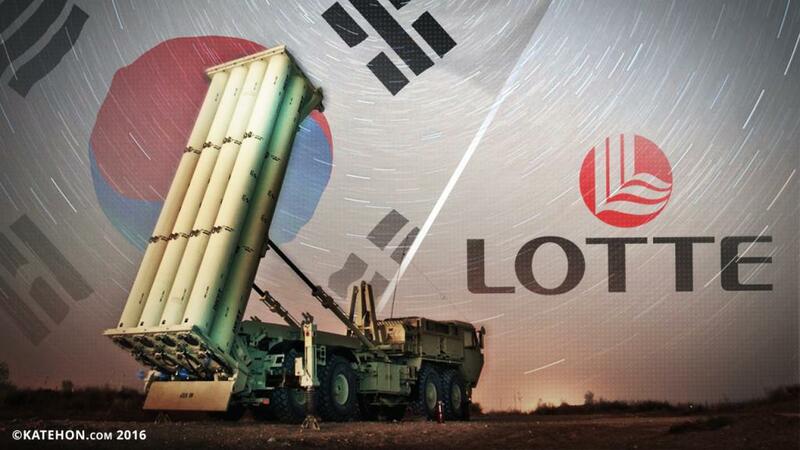 Therefore, some experts believe that the deployment of missile defense organization at the new site will be a challenge for the South Korean government, as the owner, the Lotte group, built a golf course on this territory, which brings in significant profits. Accordingly, we expect a serious deal with a large payment for the purchase of the and. The South Korean economists estimate the ground is worth more than 90 million dollars. In addition, they say, that this fund would be allocated from the budget, which requires the approval of a parliament that is opposed to the deployment of the missile defense system in Sonzhu. However, there is speculation that such a transaction will not happen. At least, not at the expected amount. An indication of this is that a week ago in the South Korean media, accountable government or overseas owners, started a campaign against the Lotte group, whose head, Shin Dong Bin, was “suddenly” implicated in corruption scandals, but the case against him was discovered more than a month ago, it was aimed at the US business community, which is now very active in the region. In addition, the head of the conglomerate had been summoned for questioning. An amazing coincidence is the fact that on September 30th, the day of the announcement that the choice of the Ministry of Defence fell on the golf course, the prosecutor's office in South Korea reported that it failed to prove the involvement of Shin Dong Bin in the crime, and the court dismissed the warrant for his arrest. Commenting on the choice of place, the press service of the Lotte group said that “we will closely consult with the Ministry of Defence about the next steps.” It is reported that “for the sake of national security,” the company is ready to consider a variety of options for the sale of the property, including taking a financial loss. In addition to corruption and embezzlement, the Lotte group was accused of lobbying the interests of Japan, that due to the ongoing political scandal between Tokyo and Seoul associated with the World War II, does not improve the image of the organization. The company’s leadership has been “advised” to “restore its own South Korean identity.” After the court objected to the arrest, chairman Shin Dong Bin has promised to reform the Lotte group, certainly not in its own interests, but in the interests of the US satellite-state. However, it can be assumed that a large impact on the Shin Dong Bin had been not only pressure the South Korean authorities, but also the recent mysterious death of his deputy, Li Ying Wong, who was found dead in the suburbs of Seoul last month. Despite the fact that the prosecutor's office quickly closed the case by declaring that it was a suicide, experts still have a lot of questions about his sudden death. It happened just at that time when a major transaction involving a Lotte group subsidiary engaged in the petrochemical industry took place. The Lotte Chemical Corporation was going to absorb the US company Axiall Corporation. However, due to the search initiated at the head office and seven South Korean branches, and the death of the top manager responsible for the transaction, Shin Don Bean had to stop the negotiation process. As a result, Axiall Corporation was bought by the main competitor of the Lotte group, the Westlake Corporation international company, based in the United States. It was purchased for $2 billion. The Lotte group now includes 60 different companies, working in the major Pacific Rim countries: the USA, Japan, China, Russia, Vietnam, India and the Philippines. In this context, it is necessary to remember the Trans-Pacific Partnership (TTP), advocated by Washington, which is aimed at the complete subordination of the regional market to the White House, and the economic containment of China. Of course, this is a huge company, the head of which, moreover, was awarded the Russian Order of Friendship, while remaining independent, spoiling the US plans for economic expansion. Especially considering the fact that almost all countries where the Lotte group is involved, traditionally are considered pro-Chinese, with the exception of the Philippine that has recently turned away from Washington and Japan, which is also an unambiguous signal of its desire to break free from both American political and military plans. A major role of international business in the finalization of contracts, like TTP, no longer requires further evidence. Thus, a change of place for the missile defense system has become a strategic step for Washington, which, on the one hand, made the placement of radars exactly where it wanted, and on the other, greatly weakened the resistance of a strong South Korean business against the Trans-Pacific Partnership. In its turn, the South Korean government has a little improved its democratic image, pretending that the events were really the cause of people's will and are not linked to the interests of politicians and oligarchs from the US. The fact that the missile defense system will undoubtedly be deployed in this region, despite the fact that the inhabitants of the nearest town, Gimcheon, already announced mass protests. Now, within the year, the system will be developed under the guidance of the US military, which remains in South Korea, at least until 2025, which was announced on Friday September 30th by the commander of US group in South Korea, General Thomas Vandal. He bluntly said that Seoul is not ready for independence: “I would anticipate sometime in the 2025 time frame, but again we're not tied to a specific time; we're tied to the conditions,” he replied to a question about transferring the powers to South Korean armed forces, directly to the commander of this country in the context of the fact that the contract meant that the occupation will end in 2020, when, as it is expected, South Korea “will receive the full protection capabilities,” including the US missile defense system. The most interesting thing is that all this is very far from the objective, which Washington couches its actions in the region: North Korean nuclear armament tests. There is no doubt that after 2025, the White House will find a new way to scare the South Koreans.